The Best Over the Counter Benzoyl Peroxide Products – Most mild to moderate cases of acne can be treated effectively with drugstore cleansers and ointments. 0.3 Benzoyl Peroxide creams, gels, lotions, face washes–which should you choose? 4.1 Does benzoyl peroxide bleach skin? 4.2 How long does benzoyl peroxide take to work? Benzoyl peroxide has been proven to be effective in preventing and treating inflammatory (cysts, red pimples, and zits) and non-inflammatory (blackheads and whiteheads) acne. It’s a very effective anti-bacterial agent – by releasing free radical oxygen, which is lethal to the p. acne bacteria, and benzoic acid, which prevents further infection. It has anti-inflammatory and comedolytic effects – it resolves and prevents the formation of new comedones (blackheads and whiteheads). It’s a lipophilic (oil-loving) exfoliant – most products are water-soluble and can only affect the skin’s surface (remember oil and water don’t mix). 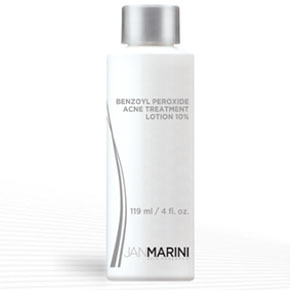 Benzoyl peroxide is capable of diving into an oil-filled pore and clears it of clogs and sebum. This is what makes it an effective face wash as well. It can promote wound healing – by attracting macrophages and histiocytes (types of white blood cells that protect the body from infection) into the wound. It comes in varying strengths (2.5–20%) and can be found as face wash or cleansers, creams, gels, cleansers, and lotions. Use a gentle cleanser before application to avoid further irritations and after application, use a non-comedogenic moisturizer to counter the side effects and restore the skin’s pH. Use a gentle cleanser before application. 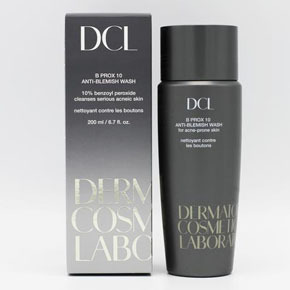 On a clean, slightly damp skin; apply on the affected area either as a spot treatment or an all-over lotion. Quick tip: A slightly damp skin is more permeable that skin that’s completely dried. Follow-up with a hypoallergenic and non-comedogenic moisturizer right after. This is to prevent excessive drying or irritation and restore skin balance. Some of the higher end brands have formulations that already contain moisturizing ingredients to calm and soothe the skin, but I personally still feel the need to double down on the hydration (I have oily skin). Massage gently on the skin for at least 20 seconds. Follow with a hypoallergenic and non-comedogenic moisturizer. Use a gentle cleanser before application to avoid further irritations and after application, use a hypoallergenic, non-comedogenic moisturizer to counter the side effects and restore the skin’s pH. Benzoyl Peroxide also penetrates more effectively on a well-hydrated skin. It’s important to acclimatize or let your skin adjust when introducing any new product, especially if you have sensitive skin. Your safest bet is to start with the lowest % strength, using it once every other day. Gradually increase usage to 2-3 times daily or as needed as you go on. You can work you way up in % or frequency when you feel like your skin needs and is prepared for it. If any dryness or peeling occurs, reduce the frequency or % strength. If used in the daytime, always complement with a non-comedogenic sunscreen. BP can cause photosensitivity in some, which makes your skin particularly vulnerable to sun damage. For best results, do not use hydroquinone and benzoyl peroxide at the same time. Hydroquinone is a brightening/whitening ingredient. You can check the label of your other products if you’re not sure. Lastly, just because I can’t emphasize it’s importance enough, always follow up with an effective moisturizer. This is a very, very crucial step — after applying a benzoyl peroxide product, let is absorb for a few minutes and follow up with a gentle and deeply hydrating moisturizer. Moisturizing is truly not optional if you want to have clear and healthy skin. We want the benefits of benzoyl peroxide, not any of its side-effects. Be sure to find a moisturizer that is gentle and won’t irritate your skin (opt for formulations for sensitive skin). Also, check that it is lightweight and non-comedogenic so as to not further aggravate your acne. BP has also shown to penetrate more effectively on a well-hydrated skin. Benzoyl peroxide has been very effective for me but it is by no means a cure-all. If you’re suffering from persistent acne, it’s best to undergo a program that will help you get to the root of the problem and address the causes. Acclaimed programs like Mike Walden’s Acne No More and Acne Remedies Guide can be a great start. Benzoyl Peroxide creams, gels, lotions, face washes–which should you choose? Below are our selection of the best over the counter benzoyl peroxide products in the market today. At first glance, leave-on acne products seem to be more effective as they stay on the skin longer. However, efficacy is still down to the strength of the product, how well it’s formulated, and how receptive your skin is to it. With reference to leave-on product’s thickness and consistency; gels are usually the most lightweight and preferred by oily skin, followed by lotions and creams. This is not a hard and fast rule, however. Some lotions can be formulated to be more absorbent than gels. Creams are commonly thick and used for dry or dehydrated skin. If you’re suffering from severe acne, it’s best to undergo a program that will help you get to the root of the problem and address the causes. Acclaimed programs like Mike Walden’s Acne No More and Acne Remedies Guide can be a great start. These are our choices for the best benzoyl peroxide creams, gels, and lotions. These are based on formulation, our experiences, value for money, specifications, and consumer reviews over the years. We’ve tabulated it in a ‘cheat sheet’ below so you can easily go over the key points. Click the plus (+) icon or ‘Read Review’ button for a more comprehensive analysis. For best results, please make sure to choose what is most suited for your skin type and condition. These are our choices for the best face washes with benzoyl peroxide. They are based on formulation, our experiences, value for money, specifications, and consumer reviews over the years. The ‘cheat sheet’ below is for you to easily scan for key points. You can click on the plus (+) sign icon or ‘Read Review’ button if you would like a more detailed review. 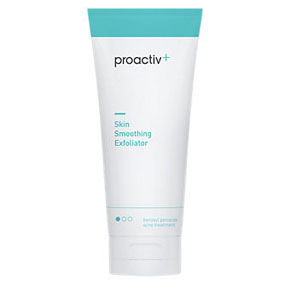 5 Proactiv Skin Smoothing Exfoliator 2.5% 4-in-1 multi-functional daily face wash with glycolic acid and exfoliating beads. Non-greasy, sulfate-free, paraben-free, non-comedogenic. All skin types; Resistant, Acne-prone skin with dull, uneven texture. 8 Beauty Facial Extreme – Benzoyl Peroxide 5% Acne Cleanser for Face & Body 5%, 10% Formulated for face & body. Paraben-free, fragrance-free, cruelty free. Acne-prone skin on the face, body, and back. We’ve arranged the product listing below in ascending order, based on medication strength. If you’re new to BP, you can start with a 2.5% and work your way up. Your choice of formulation, i.e. face wash, cream, lotion, etc. depends on your preference and current skincare routine. When using as a topical treatment ie. creams, lotions, gels, etc. ; always start with the lowest concentration to allow your skin to adapt to the medication. A 2.5% strength is effective in most cases of moderate acne. This is one of the key steps that most people easily overlook, which causes the misconception that the product isn’t working whereas it was just used incorrectly. Use a small amount once a day, every other day for the first two weeks and gradually increase dosage in the succeeding weeks. You’ll then need to observe your skin for any stinging or severe redness. This usually means you need to step back lower either the dosage or frequency of use. Paula’s Choice specializes in correcting skin concerns including acne, rosacea, and skin-aging. The brand prides itself in having non-irritating formulations that are also clinically effective. All their products are 100% fragrance-free, colorant-free, and cruelty-free. 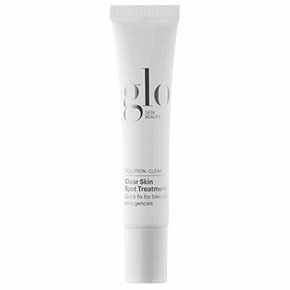 This ultra light lotion is part of their CLEAR line aimed towards acne-prone skin at any age. 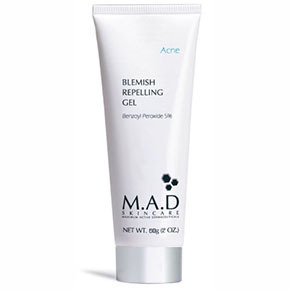 It combines 2.5% benzoyl peroxide with soothing plant extracts to help minimize skin peeling and dryness. That said, I still find this moderately drying so I would recommend using this in conjunction with a hydrating moisturizer. You can use it as a daily spot treatment on inflamed acne, as well as over areas where you usually break out as a preventive measure. This is oil-free and sets to a soft, invisible, matte finish; perfect for wear under makeup especially those with oily skin. Also available in 5% strength for more severe breakouts. If you’re looking for a simple and affordable BP treatment; this one’s for you. For the price of a fairly large bottle, it comes in at a much better value than even drugstore staples. They also have a 100-day money back, hassle-free guarantee for any issues. 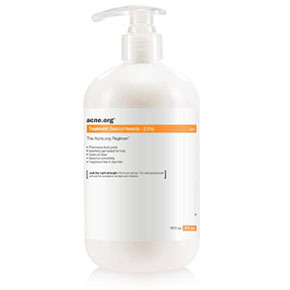 This gel lotion has minimal ingredients which help reduce possible sensitivities or allergies. However, since it’s quite a simple formulation, it also comes with all the side effects of BP. You’ll need to have resistant (i.e. not sensitive) and hydrated skin to assist in making the product work for u. Make sure to also ready your moisturizer to manage the dryness and irritation. Overall, a simple and great value alternative to drugstore and high-end BP treatments. One of the few that is used not just as a spot treatment, but all over the face. It is step 2 of Acne.org’s famous 3-Step System. Below is a video from the developer himself on how to apply the treatment. Recommended if you have constant breakouts in large areas. This size should last for 2-4 months on The Acne.org Regimen. 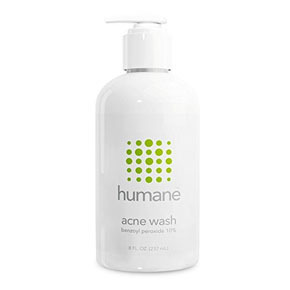 This cleanser blends the anti-acne power of benzoyl peroxide and the soothing, anti-inflammatory properties of aloe vera. This product has been reformulated a while back. It now has better texture, no more menthol, bit thinner, and no more beads. It also has a patented continuous-relief micronized benzoyl peroxide. This means that the molecules of the BP is smaller than average, making absorption faster and goes in deeper to treat acne. This feature is usually found in the more high end lines so I’m a bit surprised that it’s in a more affordable brand. This daily face wash is a 4-in-1 multi-functional marvel that comes in an airy and cushiony cream. It works as: a deep cleanser, a benzoyl peroxide medication, a glycolic-acid toner, and a mild exfoliator. Surprisingly, it doesn’t contain the usual irritators that comes with most multi-purpose cleansers. This has hardly any fragrance. Exfoliation is done two-fold as both physical and chemical for a thorough deep clean. 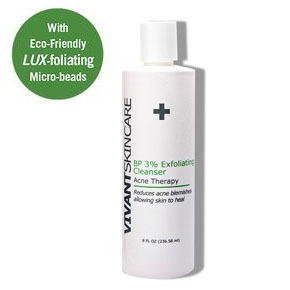 Glycolic acid works to loosen any dead skin cells so the tiny exfoliating beads can gently slough them off. This helps unclog pores and helps renew the skin for a smoother texture and healthier complexion. The 2.5% benzoyl peroxide is exclusively micro-crystalized for deeper penetration. If the 2.5 formulation is no longer cutting it and you feel like you can opt for a stronger concentration, you can step up to 5%. After going through 2.5%, your skin should have acclimated to the medication, making it safe for you to use this daily. 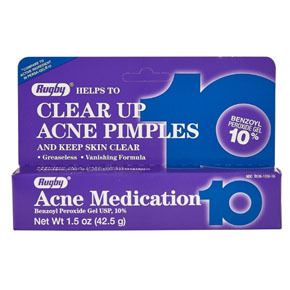 This works best on large, inflamed cystic acne. There was a study that showed a significant reduction in the p. acne bacteria after only 2 days of application of a 5% BP gel, with a clinical improvement as early as 4 days. Take this as a possible outcome if you have the right product that works well for your skin condition. You can also use this in conjunction with an antibacterial like clindamycin. This physicians-only product line holds some of the most popular and well known exfoliating skincare. Glytone is a staple in clinics worldwide because of their innovative and customized approach to formulating with the highest free acid values (i.e. unlike other brands, their acids are not compounds or diluted down). 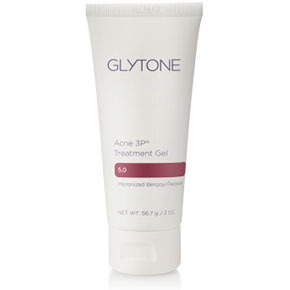 This treatment gel is part of Glytone’s Acne Clearing Set. It has a patented time-released micronized benzoyl peroxide, which means the product is able to mimic the body’s physiological dosage. This gives it a more natural rhythm and makes the skin more receptive to it. This type of delivery system ensures maximum absorption while minimizing potential irritation. Its innovative hydro-gel formulation hydrates the skin and fends off dryness while continually fighting acne throughout the day. Instead of phytic acid however, the exfoliant that comes with the cream is lactic acid. This is the gentlest type of AHA among all the alpha hydroxy acids, and is the most moisturizing. It also has tea tree oil in the mix, one of the most established botanicals that heal acne and promotes clear complexion. Best for: All skin types; looking for spot treatments, those who don’t have exfoliating products in their regimen. Along with a good dose of acne-fighting 5% benzoyl peroxide, it has aloe vera and rosemary to help prevent reduce inflammation and redness. These also help in the healing and repairing skin that was damaged by acne. Glycerin is added as well and works in tandem with aloe vera for added hydration. If you have skin that’s prone to redness, you can start with a small amount and use it every other day to let your skin adjust. Make sure to follow-up with a good moisturizer as well. PCA is brand known for their corrective and potent formulations using alpha hydroxy acids. Exfoliants improve the health and appearance of skin by promoting cell renewal and prevent buildup of dead skin cells. Paraben-free and Fragrance-free. Cruelty-free and not tested on animals. 30 Day Money Back Guarantee. Best for: If you have resistant skin and you’re looking for an affordable solution without the bells and whistles, you can give this one a go. The 10% concentration is the strongest you can get without a prescription. Move onto this if you can consistent, inflamed acne or would like to keep breakouts at bay. Best for: Normal, resistant skin. 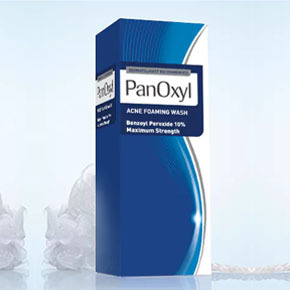 If you’re looking for an affordable, standard BP face wash; this PanOxyl foaming wash may be the right fit for you. The only brand amongst all mentioned to has an EWG rating. This means that it is environmentally friendly, there are no harmful chemicals used, and there is very low chance of irritation or allergic reactions to any of their line. Highest EWG safety rating of 1. No parabens, SLS, fragrance, or animal testing. 100% hassle-free guarantee. No. Benzoyl peroxide bleaches hair and clothing, but does not bleach skin. If you’re using leave-on BP at night, you can use white sheets. If you use it on the body, you can wear white undershirts. For face washes and body cleansers, you can use white towels to avoid any discolorations. How long does benzoyl peroxide take to work? It depends on the strength and formulation of the products, as well as the severity and cause of your acne. 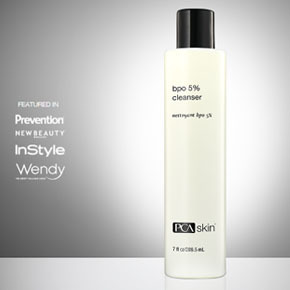 A 6% benzoyl peroxide cleanser has been shown to reduce p. acne strains after 3 weeks of daily washing for 20 seconds. Some studies have also shown reductions in the p. acne bacteria in only 2 days after a 5% benzoyl peroxide gel application. Clinical improvements have shown as early a 4 days. What is consistent however, is the increase in skin irritation with higher strengths of benzoyl peroxide. It’s crucial therefore to match treatments with a soothing and hydrating agent either within the product formulation or on a follow-up moisturizer. Acne.org. (2017). 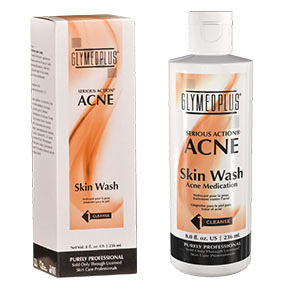 Acne.org Products – Cleanser, Benzoyl Peroxide, Moisturizer & More. Bojar RA., Cunliffe WJ, Holland KT, et al. The short-term treatment of acne vulgaris with benzoyl peroxide: effects on the surface and follicular cutaneous microflora. Br J Dermatol 132(2):204–8 (1995 Feb). Paulaschoice.com. (2017). Paula’s Choice – International: Paula’s Choice Skin Care & Cosmetics. Proactiv.com. (2017). 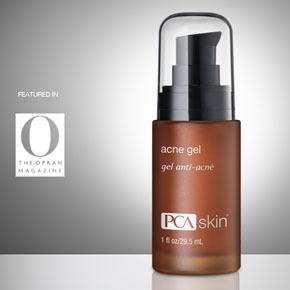 Dermatologist-Developed Acne Treatment|Proactiv® Official Site.